Cost $950.00 Part payments available. 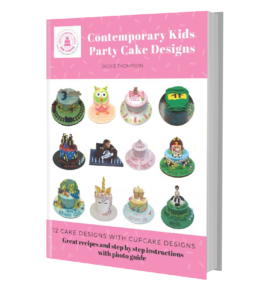 Is a 4-day class where you will cover all the basics in cake decorating. Day I You will learn the first stages of making flowers for the fondant cup and cake. You will learn how to make the cup and saucer from modelling paste. Day 2 Prepare your cake with chocolate ganache and cover your cake with fondant. 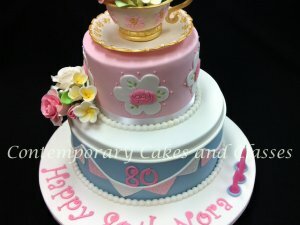 Day 3 Learn how to decorate your sugar cup and saucer. 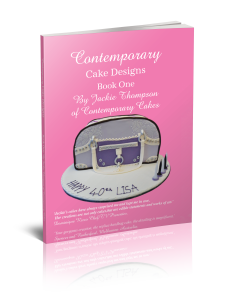 You will learn how to stack your cake safely and complete the decorations. Day 4 Learn how to colour your sugar flowers using a few different techniques. A light lunch and refreshments are provided and your cake or creations will be packaged in a box for you to take home at the end of your day.